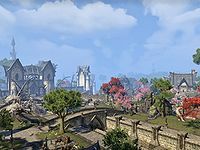 Firsthold is a city at the northwestern corner of the island of Auridon. It is ruled by High Kinlord Rilis XIII. Firsthold Objective: Save Firsthold from the Veiled Queen. 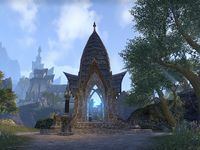 Firsthold Wayshrine is located outside the city gates, across the eastern bridge, on the cul-de-sac. 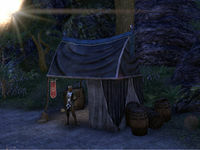 The North Road Exchange guild kiosk run by Panersewen can be found to the northeast of the Wayshrine, on the road to Dawnbreak. 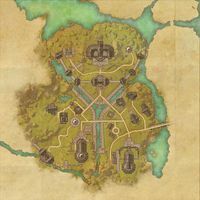 This page was last modified on 20 February 2019, at 03:02.